This year on Tuesday, November 29, 2016, Olancho Aid will participate in #GivingTuesday for the first time. 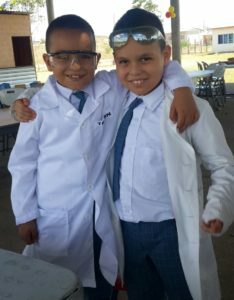 Our goal is to raise enough money so our principals and teachers can build a base of science education resources for students at our elementary and high schools. In the video below you can meet some of the people who will be impacted by donations to our Bring Science to Life campaign. Learn more about our efforts here.